Pokemon Sword and Pokemon Shield coming to Switch in late 2019. It’s about that time! We finally got some solid information on the long-awaited next entry in the Pokémon series: Pokémon Sword And Shield. Along with the title, we got our first look at how the eighth generation of Pokemon game will look on the Nintendo Switch. 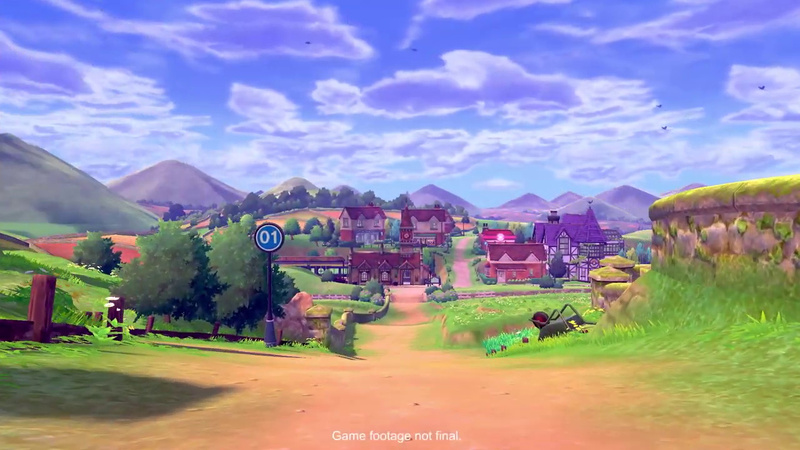 The reveal trailer showed the new Galar region, which appears to be inspired by England, the Gen 8 starters, your trainer, and a number of Pokemon. You’ll visit the various Gyms in the region, and work your way to becoming Champion. Like every new Pokémon game, both Sword and Shield will introduce new monsters to collect and battle, three of which featured in the recorded stream. Your new adventure in the Galar region will begin by choosing one of these the new grass, fire, and water starters – the Chimp Pokemon Grookey, the Rabbit Pokemon Scorbunny, and Water Lizard Pokemon Sobble. The latest Pokémon game was officially announced at E3 2017 and slated for release during the second half of 2019. Nintendo confirmed today Pokémon Sword and Pokémon Shield releases in late 2019. Pokémon will join the upcoming Animal Crossing as 2019’s major Switch releases.